Nataraja, the dancing Siva sculpture, is perhaps the most well-known among all Hindu sculptures, and rightly so. It has evoked highly advanced discussions among scientists, philosophers, performing artists, art critics, art collectors, historians, archaeologists and mythologists. The Nataraja sculpture also occupies a pride of a place at CERN, the European Centre for Research in Particle Physics in Geneva. Siva, according to Hindu Mythology, was the very first dancer in the world. All dramaturgy and dance traditions emerge from Siva’s cosmic dance. Tandu, Siva’s disciple narrated the description of Siva’s dance to Bharata Muni and he is believed to have compiled the Natyasastra, the world’s first treatise on dramaturgy, dance and other performing arts. Scholars believe that the Natyasastra was written over a long period of time between the 2nd century BCE and 2nd century CE with contributions from various sages, with its foundation having been laid by Bharata Muni. Convergence between Hindu mythology, Natyasastra and Silpasastra was the natural outcome. Karnataka, and its temple architecture tradition, played a pioneering role in giving an artistic form to this convergence in its temple sculptures. Though this trend may have started earlier during 2nd and 3rd century CE, it started to take the center stage from the times of the Badami Chalukyas. Passing through various refinements between 5th and 10th centuries, it reached its peak with the Hoysala art. This book traces the history of temple sculpture evolution and development through the centuries by referring to the existing sculptural forms and the canonical literature that developed over time. Lalit Chugh did his post-graduation in Physics from the University of Delhi. He joined State Bank of India as an officer in 1975. After sixteen years with the bank, he went into the corporate sector in top management positions. When India started looking at augmenting the infrastructural facilities, he ventured into infrastructure project development and implementation consulting. During his consulting career that spanned over fifteen years, he was on consulting assignments from the World Bank, Asian Development Bank and other multilateral agencies. He has advised several State governments in India besides numerous central government agencies. He has advised governments abroad as well in the fields of governance and institutional strengthening. Since the beginning of 2012, he has been working on heritage preservation issues and this book is the second one in a series of books he intends to write. 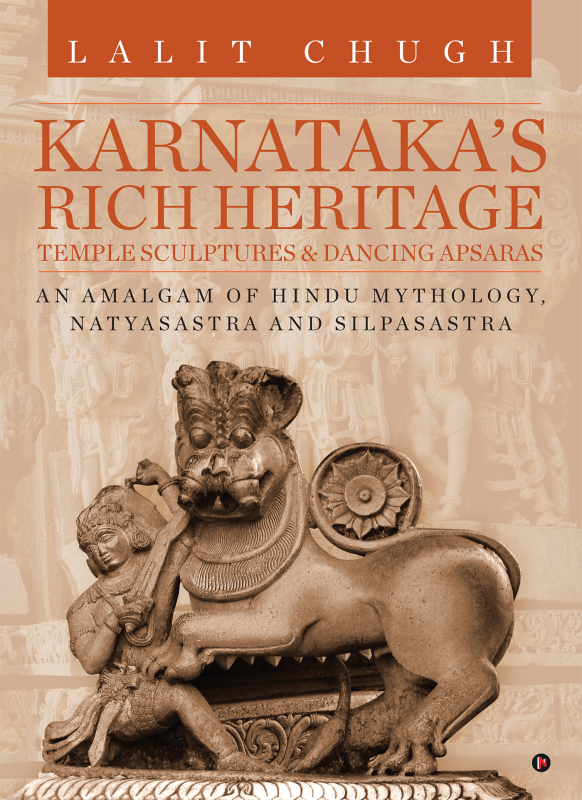 His first book largely covered temple architecture while the focus of this book is to establish a convergence between the Hindu mythology, Natyasastra and Silpasastra.